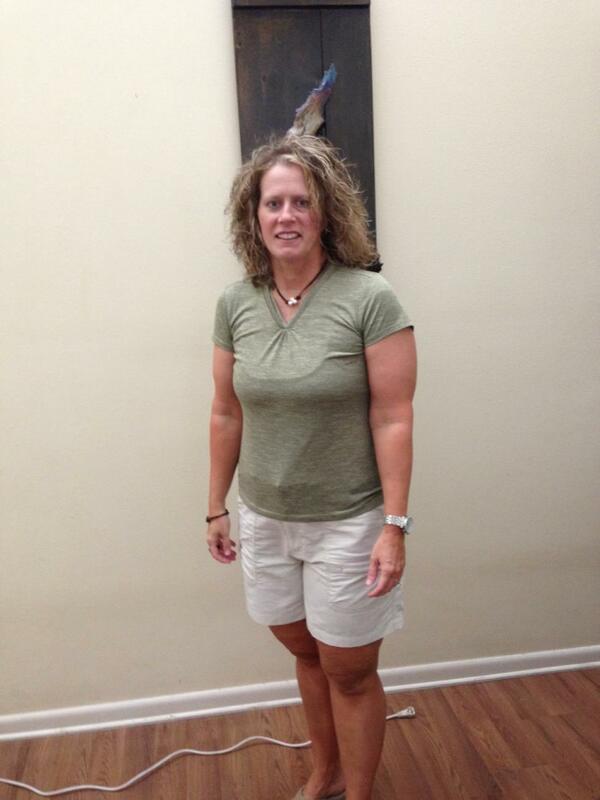 How Isagenix help me …..
Lana after- 6 months after having her son 6/2/13: With the help of Renee Barnhill, Personal Trainer and Owner of “A Whole New Fit U”, Renee has helped me in the past 6 months after having my son with proper work outs, a meal plan and with the use of Isagenix. These three steps combine have help me gain strength, energy and continue to become lean. I feel great and after 6 months not only did I meet my pre-pregnancy weight goal with my son, but I surpass my pre-pregnancy weight with my daughter, who I had 2 years ago. Keep tuned to see how I continue to do with my new lifestyle change! Thank you, Renee and Isagenix’s. Nancy Derby and Ashley Sallee at Friday night (5/31/13) Prejudging at the “NPC Bikini Show the 2013 Southern USA” in Panama City, FL. Good luck ladies, tonight at your first NPC Bikini Show!